Just point'n'click, and bingo — your favorite connection is instantly open. No need to muddle through Cloud Explorer anymore. Grab your copy of Cloud Combine and make your interaction with Microsoft Azure, Amazon AWS and Google Cloud a pleasant experience you deserve. What would you expect from a software produced in 2014? An unmanned flight to Mars? No, unfortunately. A working drag and drop would be just a good start. See, most of software suppliers do not even care to implement it properly, despite the fact that drag and drop is several decades old. The same goes to copy and paste. It may work for some obvious simple scenarios but it ceases when it comes to Remote Desktop or ZIP archive. 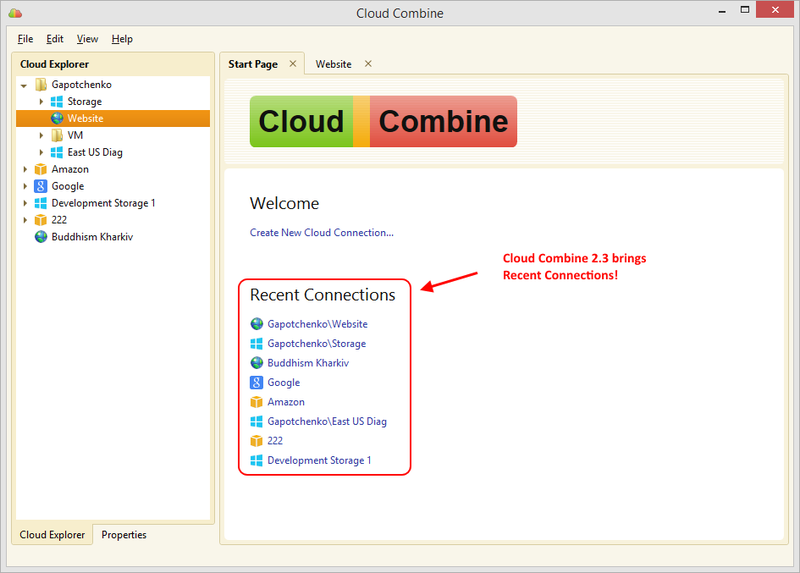 Cloud Combine is different here because it covers all these little details.